Trumpet Studio | What does it take to have faith in Christ? How many times in our lives have we been consumed by fear that we trembled not knowing what to do? How many times have we cried ourselves to sleep not knowing what to do with our lives? Living on this earth has never been easy for anyone. All of us are burdened with some trouble, but it is up to us to find hope which will provide a path for us to lead our lives. None of us knows what the future holds for us, and as Christians, we put our trusts in God and hope to have a good life. In the Bible, we read about how God says just by having faith as small as a mustard seed you can move mountains. Just by simply believing that God can do wonders with your life no matter how you have ruined it will help you fight all your problems and the following are some of the ways in which you can build your faith in Christ. After Jesus died for us on the cross, we can talk to God and have a personal relationship with him. When we trust that he will take care of us no matter how bad our situation is, we will start to put our hopes in him. Only when you have faith in someone, you will be able to trust that person. So if you want to have faith in God you need to build your relationship with him. We read so many things in the bible, but most of us don’t practise what we read. We read about having faith in God, but when the storms in our lives surround us, we forget about what we read and focus on the storms. When fear surrounds us, it can be very hard to find peace and trust someone but always remember that there is a God above who will never let you down no matter what happens as you are his child. The Bible talks about being patient, and it also talks about how God will execute everything at the right time. So if you are worried about something which hasn’t happened in your life or if you have been waiting for something for a long time, have some patience and wait on the Lord. He will supply your needs according to his riches and glories. 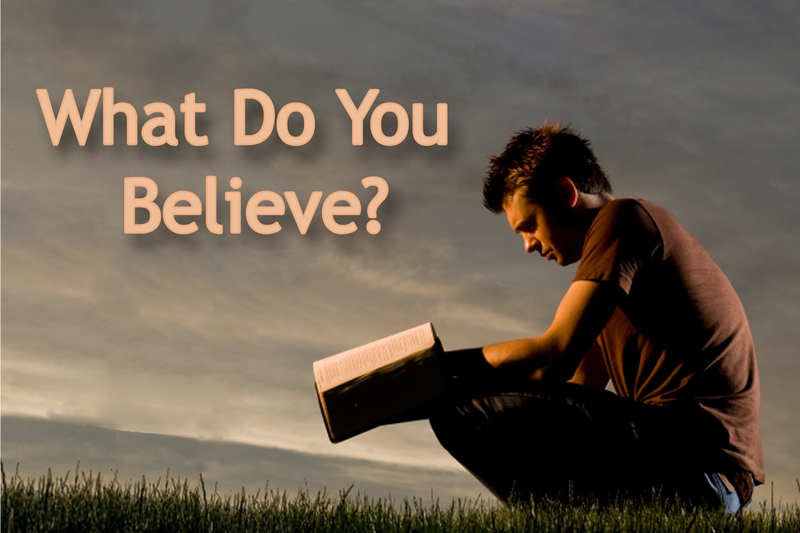 Everyone can easily believe what they can see with their eyes, but faith is about believing what the word of God says. You might be in a position where everything might seem hopeless but when you blindly believe in the word of God you will start to have faith in God.